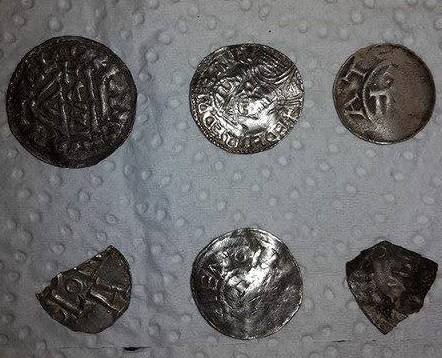 The amateur archaeologist Michael Møller made the discovery of a lifetime recently when he discovered a Viking treasure consisting of hundreds of silver coins on a farm just outside Rønne in Bornholm. Møller was walking along when his metal detector began beeping and he unearthed a single silver coin. When he continued and found several other coins, he realised he was on to something big and Bornholm Museum got involved. “It’s a bit like winning the lotto. When you find the first one you think ‘wow that’s nice’, but when you find six coins within five minutes, you know there is a treasure there and you become ecstatic,” Møller told TV2 Bornholm. Aside from the many silver coins, the treasure also includes some other broken silver items used for currency by the Vikings. The new silver treasure will be exhibited at Bornholm Museum as of Friday.